Since one of the things I’m focusing in time for the holidays (and visiting relatives) is my weight, I thought it appropriate to finally review one of my favorite local eateries. 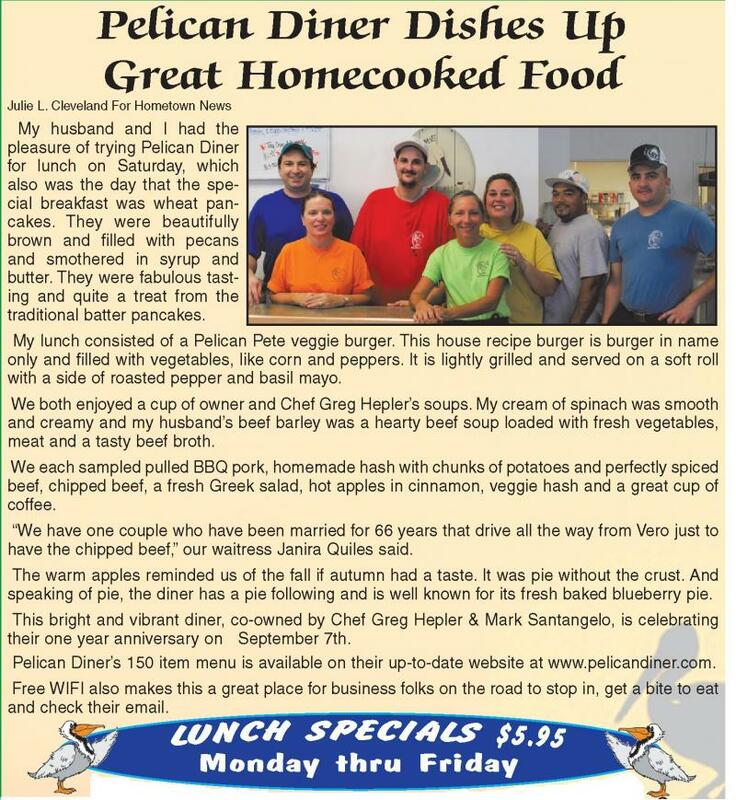 The Pelican Diner in Sebastian is one of the causes of my success with Weight Watchers with their tasty and points friendly menu. 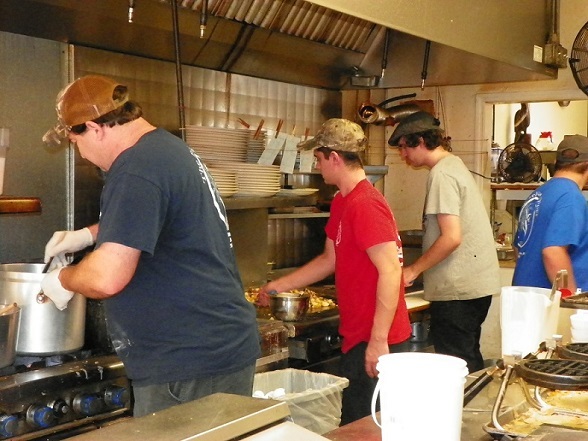 The staff is one of the main reasons you will love this place. They are all super friendly. An added bonus is that they really know their customers. I was shocked that they knew who Jeff and I were after just our second visit. They already knew that I was a Coke drinker. The owner, Greg Hepler, is one of the friendly guys around. He is so nice and sweet. He even walks around the restaurant and introduces himself to all his customers. You could just not ask for better hospitality. Of course, regardless of the hospitality, the most important thing in a restaurant is the food. The Pelican Diner provides that in abundance. My favorite meal there is the breakfast. 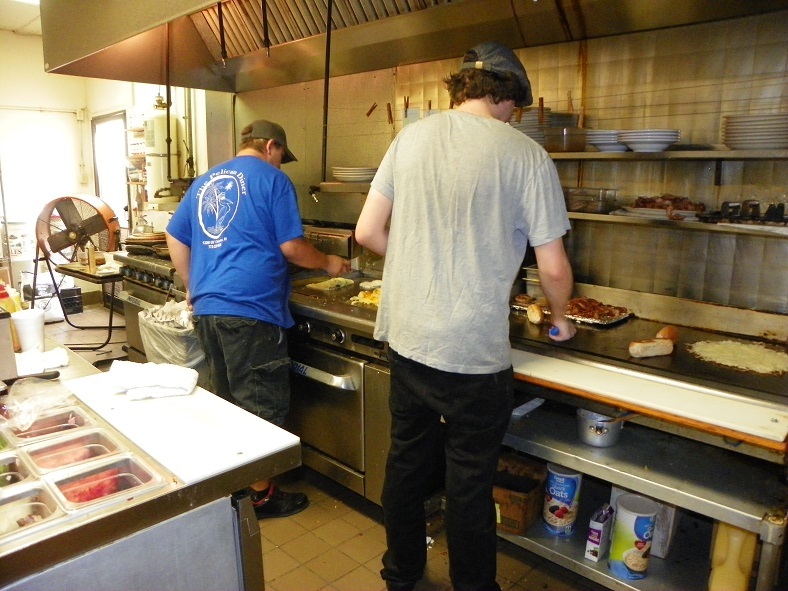 Whether I am having one of their super awesome omelets or the Rusty Pelican (meat, potatoes, eggs, and more all cooked together) or one of the specials (eggs, toast, hash browns, and a meat for around $3.95), I have never been disappointed in the food I got at the diner. I do prefer their breakfast as it reminds me more of southern down-home cooking. The Pelican Diner is also the only place in the area, so far, that I have found to make good biscuits and gravy. Their gravy reminds me of the kind my grandma used to make. Their lunches have people lined up at the door for their salads, authentic style gyros (trust me when my mother-in-law who lived overseas raves about the sauce that it’s darn good) and lobster rolls. You just can’t go wrong with the 150 plus items on the menu. Their dinners are awesome as well, but be careful what you order because I am warning you that their dinners are HUGE! I seriously mean that. They only do dinners on Friday nights and they feature a standard fried fish (haddock and grouper) but what I go back or every week is the baked grouper. It varies from week to week exactly how it is prepared but you won’t be disappointed. My personal favorite is the almond crusted baked grouper, green onion rice and the guava sauce. Too good for mere words! 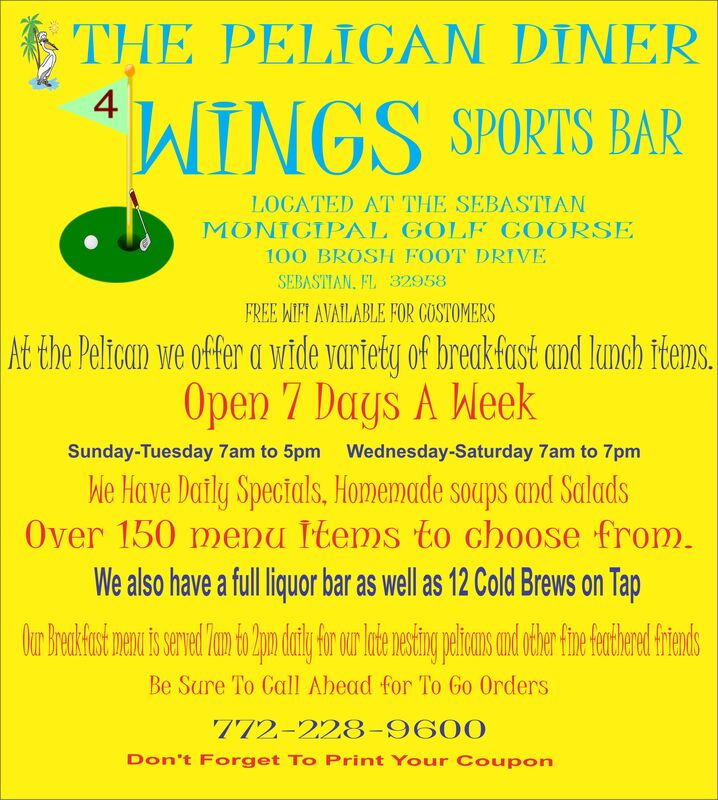 So, if you find yourself over on US 1 in Sebastian, be sure to stop by the Pelican Diner and have a wonderful meal. Relax, enjoy the conversations with the locals, bring your laptop and make use of the free WIFI as well. I promise you that you will not be disappointed. SEBASTIAN - Even birdbrains know Pelican Diner in Sebastian is the place to go to fill up on homemade food that doesn't break the bank. The three-year-old diner is a bustling place in and out of season, with regular customers coming in for their menu favorites and newbies trying them out daily. 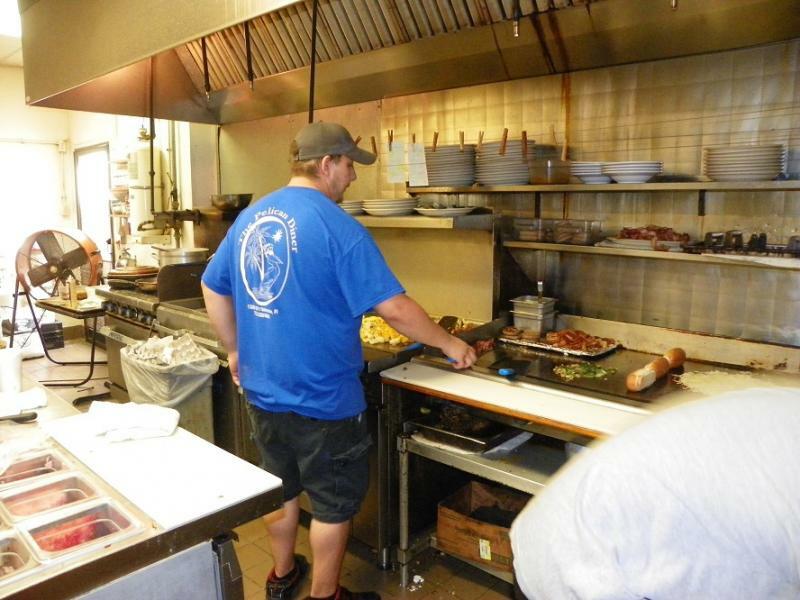 The feel-good, family owned restaurant has more than 150 menu choices, said owner Greg Hepler. A breakfast favorite is called The Nest, and is homemade corned beef hash with two poached eggs and cheese. The Belgian waffles, served with various fruit toppings, are also winners on the breakfast list. One waffle combination includes pecans and peaches, smelling and tasting like a homey Georgia morning. 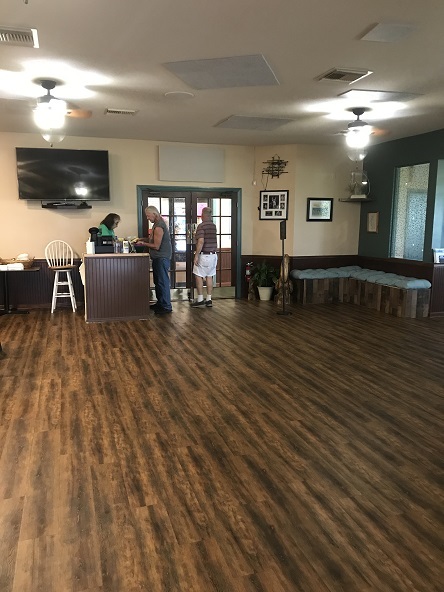 Hearty dishes are available for lunch, including meatloaf, cheeseburgers, chipped beef, veggie burgers or country fried steak. Lighter fare includes egg, ham, chicken or tuna salad sandwiches, salads and soups. One unusual, but satisfying, dish on the menu tastes like both breakfast and lunch. The Monte Cristo is basically a club sandwich, stuffed with ham, turkey and Swiss cheese. The sandwich is then battered and deep-fried and served with a delicate dusting of powdered sugar and served with sweet raspberry jam or honey mustard. The sweet jam accentuates the flavors of the ham and turkey, making the meal extraordinarily scrumptious. Fran Forte and Phyllis Harris of Barefoot Bay often make the Pelican Diner their lunch stop and have tried nearly everything on the menu. "Their lobster rolls are to die for," said Ms. Forte. "The servers are very friendly and the food is sensational. They also have very comfortable prices and even have coupons throughout the year to help their customers keep costs down," she said. Summer hours are Monday through Friday, 7 a.m. to 2 p.m., Saturday and Sunday from 7 a.m. to 1:30 p.m. and dinner on Friday from 4 p.m. to 7 p.m. Regular hours are 7 a.m. to 2:30 p.m. all week and dinner on Friday from 4 p.m. to 7:30 p.m.